Can I view the Cat Hotel? What vaccinations will my cat need? We require all cats to be fully vaccinated against Feline Infectious Enteritis, Feline Herpesvirus and Feline Calcivirus. We require new or re-started courses of vaccinations to be completed a minimum of 10 days prior to arrival at our hotel. Vaccinations must be within date for the duration of your pet’s stay, if their annual vaccination is due during their stay this must be administered prior to arrival. We recommend that you bring along some of your cat’s home comforts such as bedding, toys and treats to help him/her settle with us. We provide Royal Canin biscuits and Gourmet wet pouches but you are welcome to bring your cat’s own food if desired, please be aware that we are not able to accommodate sacks/large tubs of food. My cat is on medication, can he/she still come to your Pet Hotel? Yes we are able to administer medication as long as the cat is accepting of it and the timeframe required fits in to our routine. If your cat has specific medication requirements please contact us directly to discuss this. Will my cat get enough attention? We pride ourselves on providing our cats with lots of love, fuss and stimulation during their holiday. Each cat is allowed access to our enclosed internal and/or external exercise area at least twice a day, during this time they will have plenty of one to one attention with our loving staff who will adapt the activities to their desires; will they prefer time to explore, playtime, cuddle time or a combination of all three? My cat has not been neutered/spayed, is he/she able to stay at your hotel? Unfortunately we are not able to accommodate unneutered cats which are over six months of age. My cat hasn’t stayed in a cattery before, will he/she be ok? Lots of our customers have never used a cattery before as they couldn’t find one they were happy with. We tailor our care package to each individual guest and find that they usually settle very well in our hotel whether they are a playful kitten, an elderly cat or anything between! Our cattery is not like other catteries, it is a small boutique with only 12 penthouse cabins with warm floors, infra red heating and fully ventilated. Will I be able to find out how my cat is during his/her holiday? I am going away in winter, will my cat be warm enough? Yes! Our cat hotel is located within a secure modern fully insulated building and each cabin has its own infra-red heater and warm flooring to guarantee a constant temperature and keep your cat comfortable all year round. Will my cat meet other cats during his/her holiday? Our cattery adheres to strict licensing regulations which stipulate that all cats in our care must not have any contact with another cat (outside of their family) during their stay. What happens if my cat becomes unwell during his/her holiday? If we have concerns regarding your cat’s health we will consult our in-house veterinarian Dr. Nicola Carrier; where necessary we will transport your cat to an external veterinary clinic. In the case of minor treatments and medications we will inform you on check out, in the case of emergencies we will take appropriate action to ensure the health and wellbeing of your cat and contact you (or your emergency contact if you are not available) to inform you of the situation. Yes, in fact this is one of our busiest times of the year! 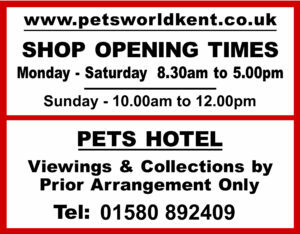 We are open as usual throughout the Christmas holidays except on Christmas Day, Boxing Day and New Year’s Day when our staff are here to care for our guests but do not answer customer enquiries or check animals in/out. Please note that we have a minimum booking period of seven days during the school holidays and there is a double charge on Christmas Day, Boxing Day and New Year’s Day.